Romantic retreats and family getaways will always be remembered when you stay in our Lakeside Guest House. Move in and relax. 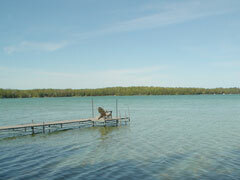 Door County’s beautiful Europe Lake will give you the peace and tranquility we all need in our daily lives. Our Lakeside Guest House provides guests with cozy, private and quiet seclusion, surrounded by forest and the pristine beauty of our waterfront settings. The Lake Lodge Guest House is a magnificent lodging facility. We are typically open from May through October. 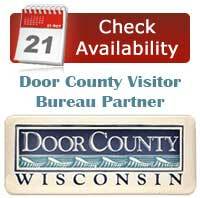 Please, call 920.421.0472 or email to find out more about our special off-season rates or to make a reservation. Weekly guests enjoy a discount on lodging until mid-June and again after Labor Day. Romantic retreats and family getaways will always be remembered when you stay in our Lakeside Guest House. Settle in and relax. The sounds and tranquility of Europe Lake will provide the peace and serenity you are seeking in a visit to Door County. Our lakeside guest home provides guests with cozy, private and quiet seclusion, surrounded by forests and the pristine beauty of a waterfront setting. FIND US WITH OUR HELPFUL MAP. Please let me know availability/rates for July 29 – Aug 2 for 4 adults. Thank you. Do you have anything available 8/31, 9/1, 9/2 departing on 9/3? For 2 adults and 2 kids 17 & 15. You might want to think further ahead for this type of lodging. Unlike a motel or a hotel, once people discover this kind of tranquil getaway spot, they usually remember and come back year after year …so, once again we’re booked for that time-span. How abvout next summer? It does not hurt to ask though… and thanks for your inquiry. You might try http://creedcottage.com/ another nice spot nearby here in Ellison Bay. How many steps does each guest house have. It is difficult to tell from the photos if each has more than one entrance. Our son is in a wheelchair. I understand the terrain is rough. We are more concerned with getting in and out of the cabin. Also, we are looking at Aug 28-29 to Sept 3-4, dates are somewhat flexible. Thanks. i am sorry but the guest houses are not easily wheelchair accessible. Need pricing on the 1 bedroom. Looking for 6/15/14-6/17/14. Thank you. We are looking for 2 bedroom 2 bath accomodations for the nights of July 28 and 29, 2015. There are two couples who are traveling together. Do you have anything? Thank you. Please call me, Cheryl at Carlson’s Europe Lake Guest House and we can check on what you require: 920.854.5706. 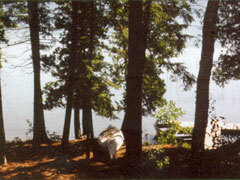 Do you have a cottage for 2 people October 1-4? I had a hard time using your website. The lettering is very tiny and light colored type. It was hard to tell how many cottages you have. The cottage is available for those dates. Please call (920) 421-0472 to secure a reservation.